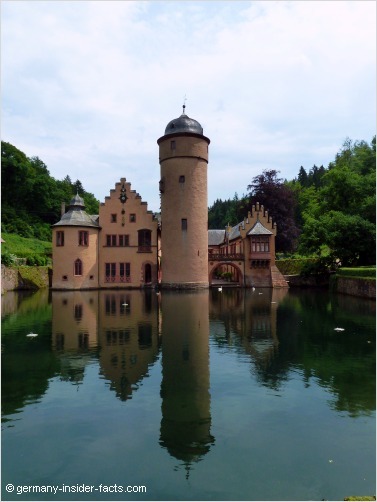 You want to visit Germany but don't know where to start with your planning? You have many questions and don't know where to get answers? You've come to the right place! 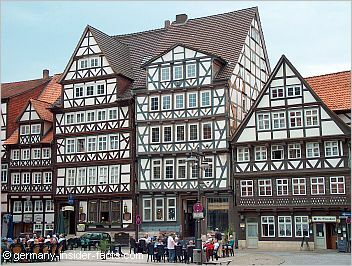 My Germany travel guide helps you step by step to plan your German holidays, and to find the essential information on this website. Many readers who contact me ask one, two, or all of the questions below. Of course, there is no general answer, it always would start with it depends. Why? Because you are all individual, with different interests and sometimes limited time for your journey. You know your preferences. I can only guide you to find the best way to travel in my country and avoid disappointment. That's why I put together this travel planner. What are the must-see attractions? How much time do I need to see everything? What is the best time of the year to visit? How expensive is it to visit Germany? Which travel guide books are recommended? Just like the lovely castle pictured above, there are many stunning attractions to discover. As this website grows, I will introduce you to more of the wonderful destinations. 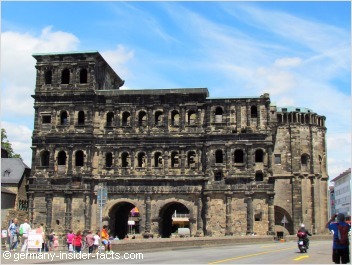 Let my Germany travel guide help you to find relevant information and get the most out of your vacation. 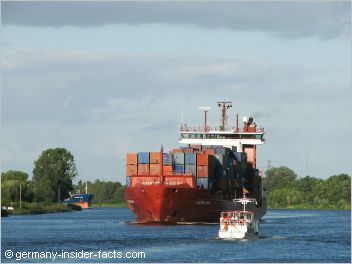 With its central location within Europe, Germany can be reached by all means of transport. Depending on your home country, the airline of your choice and your destination in Germany, you'll probably arrive at one of the three major airports. Frankfurt International Airport (FRA) is the largest Flughafen in Germany, and the third largest in Europe. Located about 15km south-west of the city, the airport is well-connected with major destinations by several motorways and long-distance trains via the Fernbahnhof. With the local S-Bahn your are in the city centre within a few minutes. Be aware that Frankfurt-Hahn airport is not as close to Frankfurt as you might think. 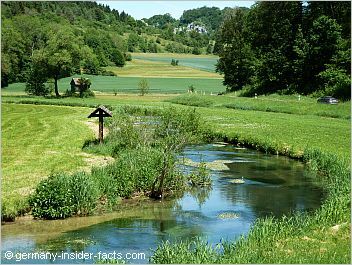 It is about 120km (75mi) from Frankfurt, located in a somewhat remote area in Rhineland-Palatinate. Frankfurt-Hahn is popular with low-cost airlines such as RyanAir. There is no train station to get to other destinations. Private bus operators run regular services from Hahn to Frankfurt, Cologne and other cities. The second largest airport is Munich Airport (MUC) in Bavaria. 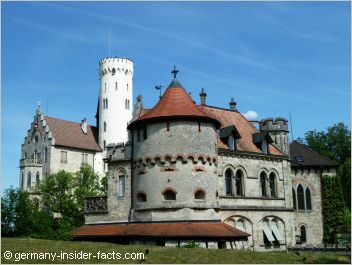 Located about 28km (17mi) northeast of Munich, passengers can easily reach the city centre by S-Bahn. There is no long-distance train station at the airport. Finally, Düsseldorf International Airport (DUS) is the third-largest Flughafen. 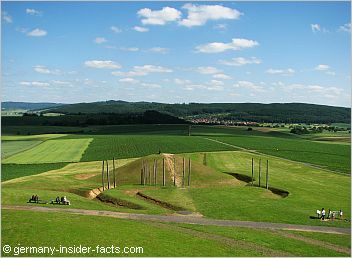 It is located 7km north of the city centre and well-connected with the Autobahn network and public transport. Berlin Tegel Airport (TXL) is the fourth-busiest airport. This is the Flughafen to arrive when you visit the capital of Germany and the northern and eastern states. However, Tegel's days are counted as the new Berlin-Brandenburg Airport will be hopefully opened in a few years. The German rail network is connected with many European capitals, so it is quite easy to go to Germany by train for European citizens. The Schengen Agreement has made travelling within Europe fairly easy. Citizens of the Schengen member states don't need any visa and there are no border controls. Visitors from non-Schengen countries might need a visa to enter Germany or any other Schengen country. This depends of the country you call home. Read more about entry regulations when you travel to Germany. This question can't be answered in one sentence, it depends on your itinerary. Generally, most destinations & attractons can be reached by train and bus, but when you plan to explore a holiday region in depth, you are better off hiring a car. This would just save you time. I have covered public transportation on several pages, please check them for details and how to find the best options /train tickets for your journey. Go to the train travel section. An alternative transport mode to visit many German & European cities is the Post Bus. You can check connections here. When you don't want to plan the sightseeing yourself, you have quite a few options. The most convenient way to travel, and to see many "hidden" places, would be to hire a private tour guide. He can care for your accommodation as well, if you want, and takes you to places off the beaten track. Click here for more info. Additionally, there are commercial tours with English-speaking guides available. Check them out on the following pages. You will be surprised how varied and attractive landscapes and cities are in my home country, so the list of must-see places could fill a book. 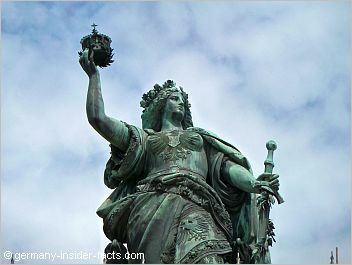 Large cities like Berlin, Munich, Hamburg & Frankfurt offer lots of culture and fun. Famous museums, thriving nightlife, musicals, theatres, shopping opportunities abound. The choice is yours. Nature and quiet spots are never far away from the Big Smoke, though! You can do some lovely day trips when stay in any city. 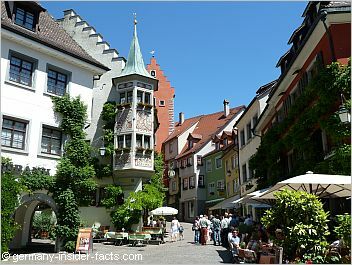 Then you have the rural areas with heaps of natural attractions, castles, quaint towns and themed routes like the Romantic Road, Castle Road and the Fairy Tale route. The valleys of the Rhine, Donau, Elbe, Main & Mosel are beautiful, and always worth a visit. The landscapes in the North are flat with wide open spaces. Holiday resorts dot the coastlines of the Northern Sea and the Baltic Sea and offer all kind of activities. 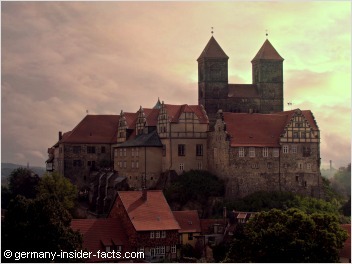 Towards the South low mountain ranges like Harz, Rhön, Spessart and Black Forest increase, before you finally reach Germany's small portion of the Alps. Most of the internationlly known tourist attractions are definitely in the central and southern regions. This might be the biased view of someone who lives closer to the black forest than to the shores of the seas. Discover the main attractions that are already covered on this website. Stay in touch, there is more to come! Although Germany is a relatively "small" country compared to let's say Australia, the US, or Canada, you won't manage to see "everything" within 2 or 3 weeks. After living here for 60+ years, I haven't visited ALL places yet! Decide if you want to hop across the country for short visits in Berlin, Dresden, Cologne, Frankfurt and Munich. Or, are you like me, and want to explore a small region in depth, and return to another area later? So, how much time you'll need in Germany depends on how long your personal list of "must-see places" is, and how far they are apart from each other. Oh well, you won't get a "nice weather guarantee" at any time of the year! Generally, Germany is a "all-year destination". Every season has its advantages and charm. April to October is the main travel season for those looking for mild weather, sightseeing, outdoor activities & festivals. During winter some destinations have limited services and opening times, especially in rural areas. 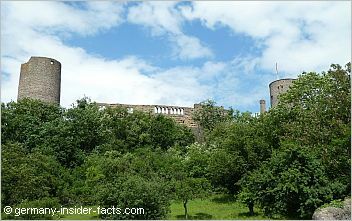 For example, museums or small castles might open only on weekends in winter. 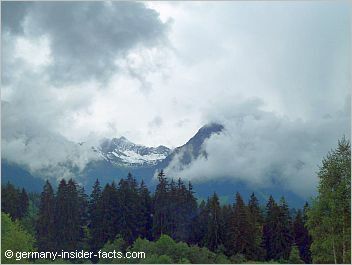 Of course, the mountainous regions have their season all around the year. Want to see snow, go skiing? The Alps and the black forest are favourite places for all kinds of winter sports. Is there a "snow guarantee" in winter? Unfortunately, no! The enchanting German Christmas markets are a reason to consider a visit in December. Whenever you visit from April to October, bring a warm sweater and jacket additonally to your summer wardrobe. Be aware that the weather conditions also vary from the North to the South. Germany is neither the cheapest country in Europe, nor is it the most expensive. There is no limit on what you can spend on your holidays, and even smaller amounts add up. 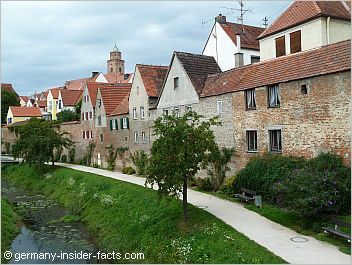 However, budget travel is possible in Germany. Here are a few tips how to keep the costs according to your budget. Accommodation is a factor where you can really save money. Compare and book ahead. Sure, you can go to the tourist office when you arrive at your destination to ask for a hotel. But during busy times you might be forced to take what is still available, and this could be only the more expensive rooms. 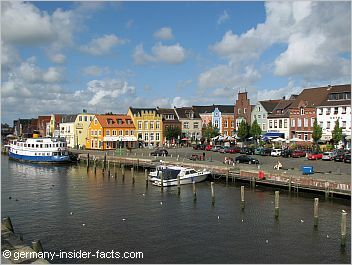 There are hostels in big cities, and hotels and Pensionen in smaller towns cost less. When you stay for a week somewhere, consider to rent a holiday appartment (Ferienwohnung). Good news is that a rich breakfast is usually included in the accommodation fee (except appartments). Costs for eating out can add up when you go to a restaurant for lunch and dinner every day. You can safe big time when you have a meal at restaurants in a store/shopping centre, buy a snack for take-away, or look for restaurants who offer "Mittagstisch", which is a cheaper dish they serve for lunch. Public Transport - it's not always a railpass that saves you money. Booking long-distance train tickets ahead, using day tickets or a Länderticket for local transport is usually much cheaper. City / Welcome Cards can be purchased for little money in larger cities and offer free public transport, reductions on entry fees for attractions and museums. In rural areas hotels often offer guest cards with various advantages. Just ask, especially when you stay longer than one night. Many people involved with tourism speak English, more or less. You won't have problems in hotels, especially in the major cities. However, when you ask someone in the street for directions or advice, it can happen that they don't understand you. It is a good idea to learn a few simple words and phrases. Also, speak clearly and slowly when you ask someone for help. Maybe start with "Sprechen Sie Englisch?" (Do you speak English). And even if you don't feel confident to speak much German yourself, it is good when you understand words you'll see on signs and in tourist brochures. It is hard to describe 80 million people in one or two sentences. At first sight Germans don't appear very welcoming and friendly, we hardly smile all day. But this shouldn't scare you. Germans just need some time to warm to strangers, but then we are very hospitable. 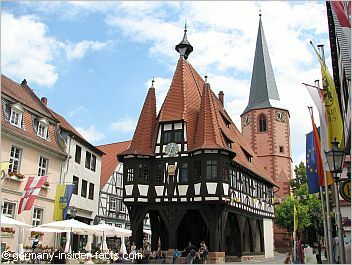 These pages give you more info about German people & what it is like to live in Germany. Which German travel guide books are recommended? There are quite a few travel books about Germany available in English. And yes, I bought a few to check if they are useful. So here are my recommendations! 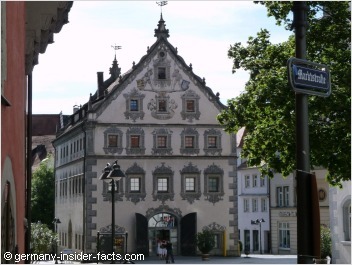 I love the "Germany Day By Day" guide by Frommers! It is comprehensive with heaps of background information about culture and history. The guide offers itineraries organised by region, time and cities. Each chapter begins with one or two "best of" routes for a certain amount of time. There is also an "All of Germany" in 2 weeks. Germany Day by Day itineraries aim at self-drivers and travellers using public transport. Although the guide is great for planning, with nearly 700 pages it might be too heavy to carry around. The DK Eyewitness Travel guide "Back Roads Germany" is a useful driving guide to explore Germany by car. 24 drives give detailed route descriptions, practical information about where to park, accommodation & restaurants. Each drive begins with an overview, number of days suggested, road conditions and other tips. You won't get lost with this handy book. Learn about German customs, daily life and typical routines with Hyde Flippo's "When in Germany, Do as the Germans Do"
The book starts with a quiz to test your knowledge, for each answer you'll find a short article with insights and explanantions. The book is fun & easy to read, and although I disagree very occasionally with the author, it is a good source of knowledge about my fellow Germans. With this book visitors can avoid to drop a brick. Enjoy the impressions of less-known places from the North to the South. My home country is a fascinating travel destination. You can be sure that I am going to add more attractions, cover more regions and cities on this website. 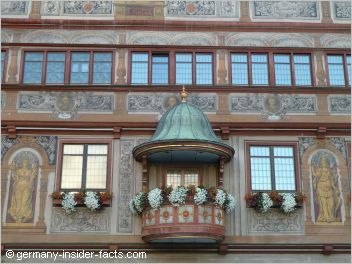 Germany-Insider-Facts.com is an information site, not a travel agency. I can't do any bookings for you. For your convenience, I do some research on the travel market to find English guided tours and nice hotels to recommend to you, and include links to relevant providers where you can make a booking. I hope you found this Germany travel guide useful. Here are more related articles to plan your journey. Click below for more tips or add an comment.